These vintage. 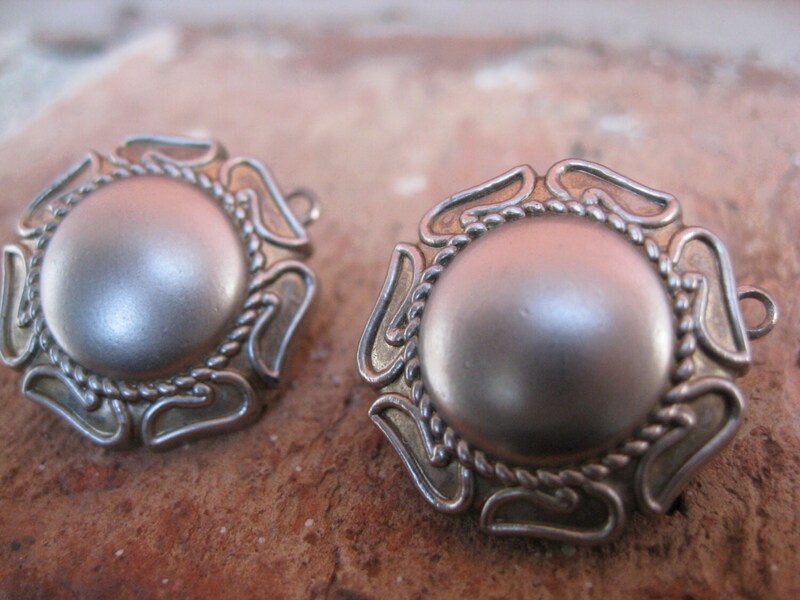 clip on earrings are gorgeous. 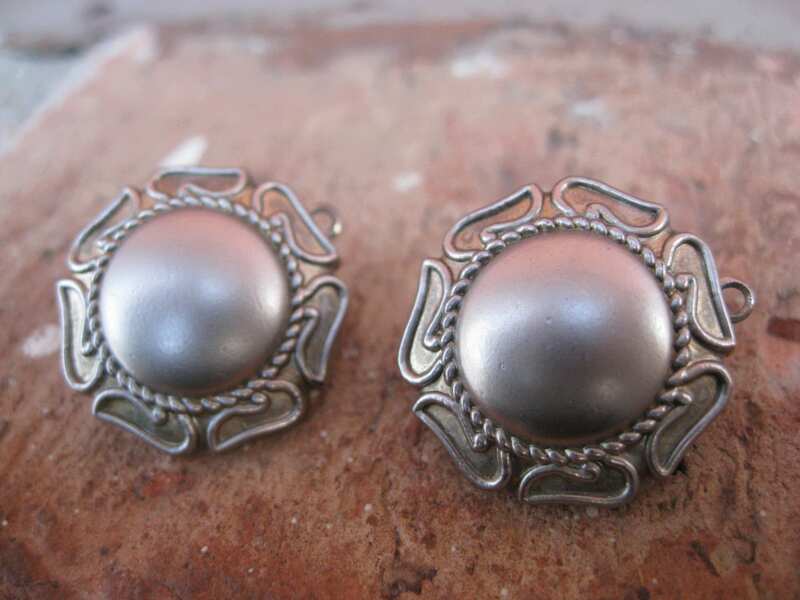 They are a silver tone and have a solid, round center, with a neat design around the edge. They remind me of stylized sun. They are really interesting. They were made in the 1960s and are plastic. They are in good vintage condition and are very lightweight. They measure 7/8". These would be great for any time of the year! They are wonderful gift earrings for Mother's Day, for a wedding, for an anniversary gift, or a birthday. 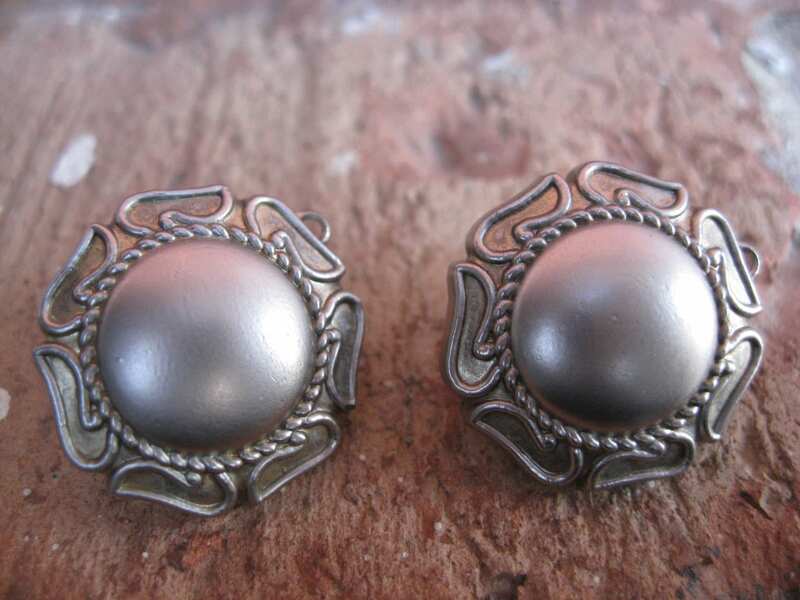 This listing is for one pair of clip on earrings. Please let me know if you have any questions. 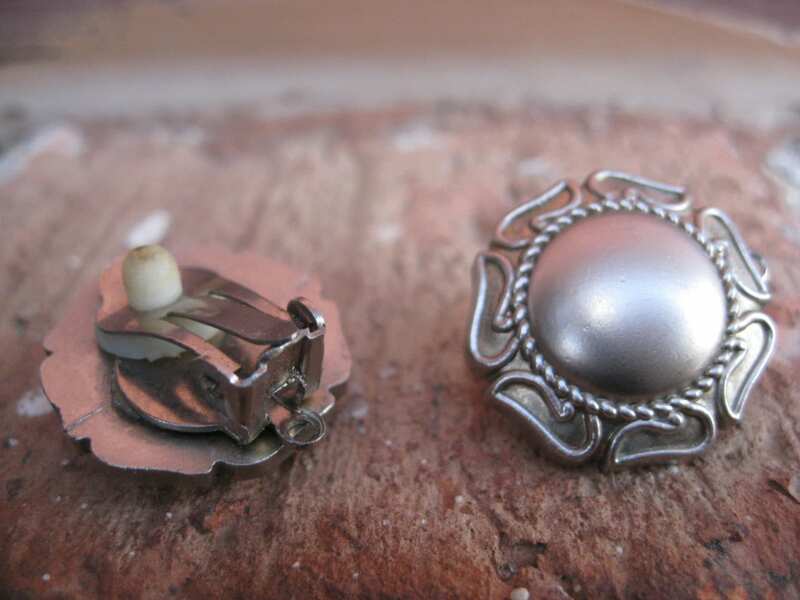 I also do custom cufflinks and have many vintage cufflinks and other jewelry. See my store for examples!